Here you can find all info about Amnesia Skunk Autoflowering from Zativo. If you are searching for information about Amnesia Skunk Autoflowering from Zativo, check out our Basic Infos or Lineage / Genealogy for this cannabis variety here at this page and follow the links to get even more information - or list all Amnesia Skunk Strains (±2) to find a different version. If you have any personal experiences with growing or consuming this cannabis variety, please use the upload links to add them to the database! Amnesia Skunk Autoflowering is an automatic flowering ruderalis/indica/sativa variety from Zativo and can be cultivated indoors and outdoors where the female, autoflowering plants need ±77 days from the seedling to the harvest. 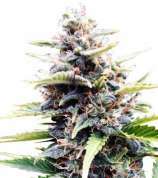 Zativos Amnesia Skunk Autoflowering is/was only available as feminized seeds. By combining Amnesia Haze, Original Skunk and Ruderalis, we have created a cannabis strain that brings you the best of three strains. Amnesia Skunk Autoflowering goes from seedling to harvest in 10-12 weeks and produces bud that will deliver you to nirvana. If you love Haze strains, then you know that the one major draw back of them is their long growing times. They can often take in excess of 12 weeks just to flower. Well, no more! Through some clever breeding, the boys here at Zativo have created an automatic strain that will change the way you look at Haze forever. You can now experience everything you love about Haze, in an easy to manage, fast growing strain of cannabis seeds. We call them Amnesia Skunk. By mixing an exemplary specimen of Amnesia Haze with Skunk and Ruderalis, we have managed to craft a marijuana strain that retains the characteristic high of a Haze strain, whilst adopting the growth patterns of Skunk and Ruderalis. When you smoke Amnesia Skunk Autoflowering you will be hit at the back of your throat with a fresh, woody taste that has a slightly sweet undertone. It is smooth and will induce a motivating and uplifting high. This euphoric sensation is perfect for times when you need that little bit on inspiration to get your creative juices flowing. Should you share it with friends, you will likely find yourselves chatting the day away, long into the evening - debating everything from serious issues of the day, to lesser things that will have you giggling. With a potent THC and CBD content, Amnesia Skunk Autoflowering will benefit medical users in a few ways. It can help relieve chronic pain, inflammation, migraines and arthritis, whilst the heady side will also diminish any stress, anxiety or depression you may be feeling. When grown indoors you will find that Amnesia Skunk Autoflowering will reach heights of up to 85cm. The small stature makes it perfect for those grow areas with restricted space. In this situation, and under the hand of an experienced grower, you can get a yield of 300-350 g/m2. If you want to grow this outdoors, then you will need to be located in a warmer, Mediterranean like climate. If you are not lucky enough to live in such a place, you can always grow your Amnesia Skunk Autoflowering in a greenhouse. When outdoors, this marijuana strain will reach heights of around 1.2-1.5m, with individual cannabis plants yielding anywhere up to 180g per plant. The growth time of Amnesia Skunk Autoflowering is pretty darn quick. It goes from seedling to ready to harvest cannabis plant in 10-12 weeks. This is a few weeks more than other strains of automatic cannabis, but when you consider you are growing a Haze descendant, it is no time at all. Our Amnesia Skunk Autoflowering is an absolute beast. Haze fanatics will rejoice at what is on offer here - no more long waits or strenuous labor is required to obtaining some of the finest weed around. Everyone can take something to love from this – we sure have. Click to show all parents of Amnesia Skunk Autoflowering in our dynamic family tree map. Do you know something more about Zativos Amnesia Skunk Autoflowering? Please help to make this database better and upload/connect your information here! Pictures speak louder than words! Upload your "Amnesia Skunk Autoflowering" Photos here and help other growers to get a better impression of this variety. You have grown Amnesia Skunk Autoflowering together with another variety? Please fill out our Strain VS. Strain direct comparisation form! Our strain reviews are multilingual, searchable and can be very detailed - including data about the grow, aroma, effects and taste! Please upload your Amnesia Skunk Autoflowering Review here to help the other seedfinder users! You have experience with the medical qualities of Amnesia Skunk Autoflowering? Sharing your information here maybe can help other people! You've stumbled upon a Amnesia Skunk Autoflowering related thread into a forum or growers community? Connect it here and enable othe users to find this information fast and easy! You found a related video with additional information or grow-infos about Amnesia Skunk Autoflowering on YouTube? Please connect it here to the strain info page!